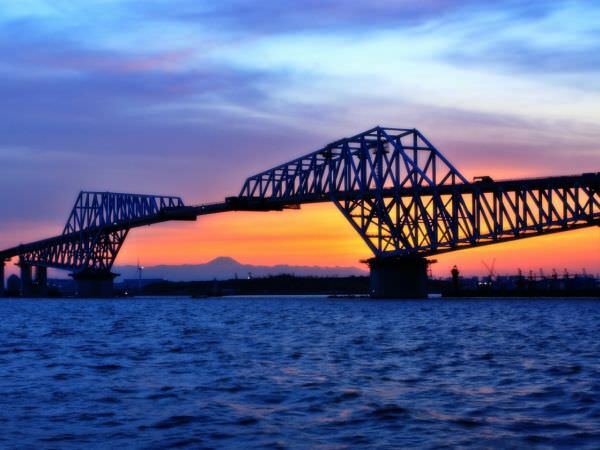 Tokyo Gate Bridge is a gigantic truss bridge in Tokyo Bay. 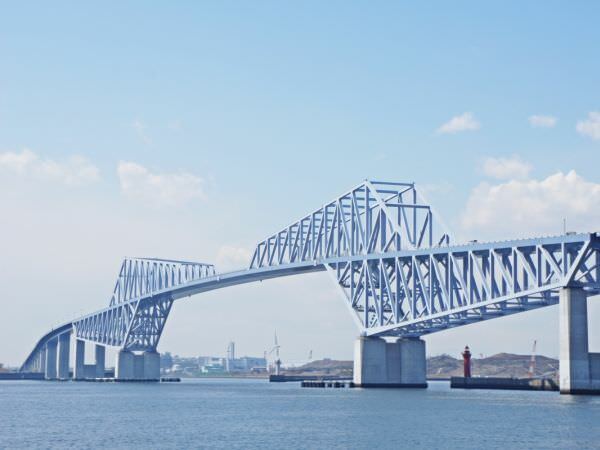 This 2.6-kilometer bridge opened in 2012 as a part of Tokyo Bay Rinkai Road (about 8 kilometers in length), connecting Jyonanjima in Ota Ward with Wakasu in Koto Ward. It is a landmark bridge in Tokyo Bay as well as Rainbow Bridge (refer to #349) and Tokyo Bay Aqua-Line (refer to #364). Because of its unique figure, it is often called "Dinosaur Bridge" as a nickname.